Hello friends! I can’t believe it’s almost that time in Walt Disney World once again, and even earlier than ever! 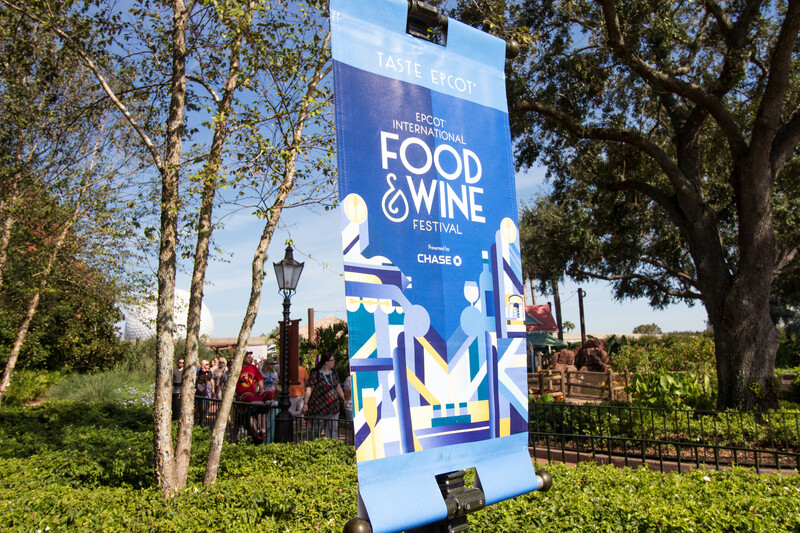 We are just about two weeks away from the start of the International Food and Wine Festival at Epcot! 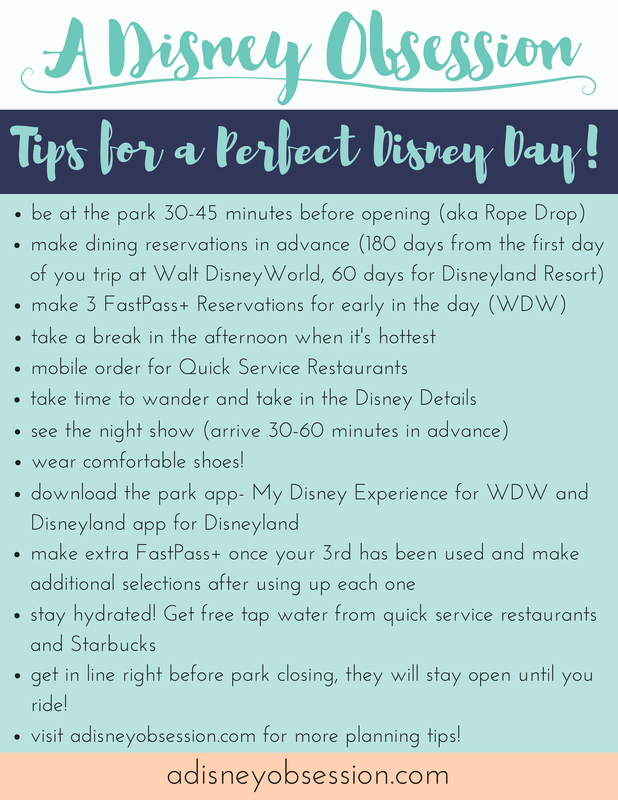 It’s one of my favourite times to visit Walt Disney World, so I thought I would share ten tips and things I’ve learned after attending the festival a few times! If you’re heading to Walt Disney World in November, check out my 10 Tips for Mickey’s Very Merry Christmas Party as well! Okay, let’s get started! 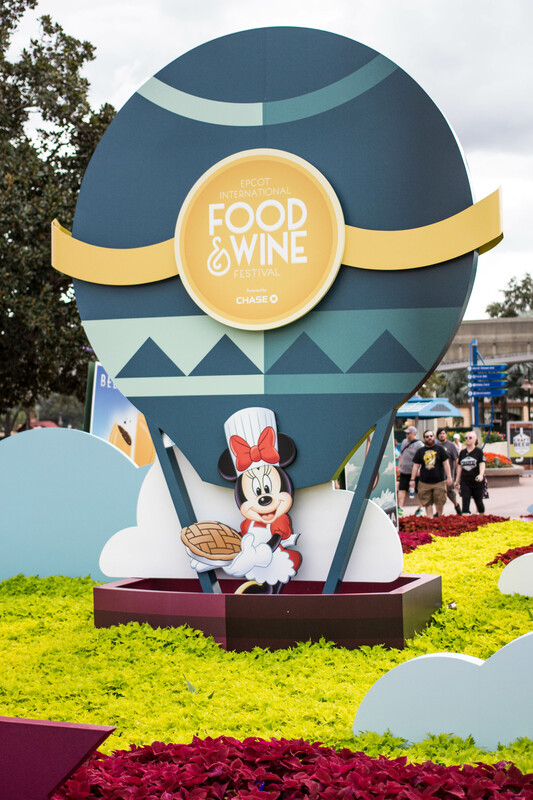 The Food & Wine Festival runs from August 31st- November 13th, 2017. These handy little things list all of the dishes that are available at the festival, and list them by country (or booth). The idea behind it is you sample everything then stamp (a sticker that comes in the book) the country once you have completed it. it’s really nice to see everything in one place and get organized. The passports are free and are available at most if not all, booths. The passport will also list if a dish is vegetarian which I found really helpful! Lines can get long, and it can definitely get busy, so it’s nice to have an idea of what you want to try! Whether you put a star next to the item, or just make a mental note, it’s nice to know what is a priority! We learned this the hard way at our hotel when we went to go to Trader Sam’s, and even though Ethan, his brother and I are all over 21 by at least a few years, we needed to show our passport or a picture of it (not drivers licence) to get in. I don’t want to have to carry my passport around the parks, so I took a picture and used that when buying my margarita at F&W (yum!). Just make sure to delete the picture after your trip! If I lived in Florida, I would visit the Food & Wine Festival all the time! So you can imagine, weekends are busy at Epcot! 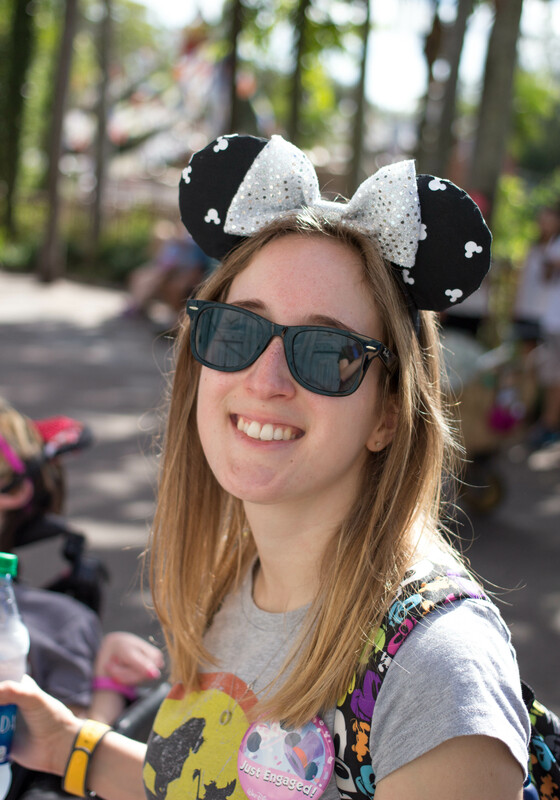 I made sure that we hit Epcot before the weekend at first, and then only spend a few hours there on the Friday morning before we hopped to Hollywood Studios. You could definitely tell the difference in crowds between the Tuesday and Friday! With so many things to try, the Food & Wine Festival samples can add up fast. In World Showcase you can purchase Disney gift cards that come with a wristband to 1) limit spending and 2) be easily accessible on your hand! I would purchase a gift card for a certain amount, and when that runs out I’d be done! But you would be surprised how quickly it can add up! I think one of the best ways to do Food & Wine is in small portions (just like the samples! ;) ) Spending an afternoon during the week wandering World Showcase is a perfect way to spend a day at Disney in my opinion! I love spending time wander World Showcase any time of year, but something about Food & Wine holds a special place in my heart. 7. Booth open at 11am! Booths get busy, so don’t forget that World Showcase opens at 11sm! Beat the lunch rush by heading to some booths early, and you won’t regret it! Eat to the Beat concert series, and seminars, and tastings! There is actually much more to the Food & Wine festival. From the Eat to the Beat concert series (where I’ve seen Boyz II Men), to seminars and tastings, there is tons to do! Seminars and tastings you can book in advance here, and there are dining packages available that provide reserved seating for the evening show. Also there’s the Remy’s Hide and Squeak Challenge that is back this year! For $8.99+tax you get a map and have to find the Remy statues around World Showcase! Once completed you get a special edition pin. 9. be smart in using snack credits! If you are on the Disney Dining Plan, the Food & Wine Festival can be a great use of snack credits! Just look for the dining plan symbol beside items on the menu. Try to use your credits for the most expensive items (like the lobster roll) to get the most out of it! The number of booths increases every year, and they are getting closer and closer to being through the entire park, not just World Showcase! Don’t forget the booths that are near the entrance to world Showcase, and actually in Future World! The items I sampled last year! 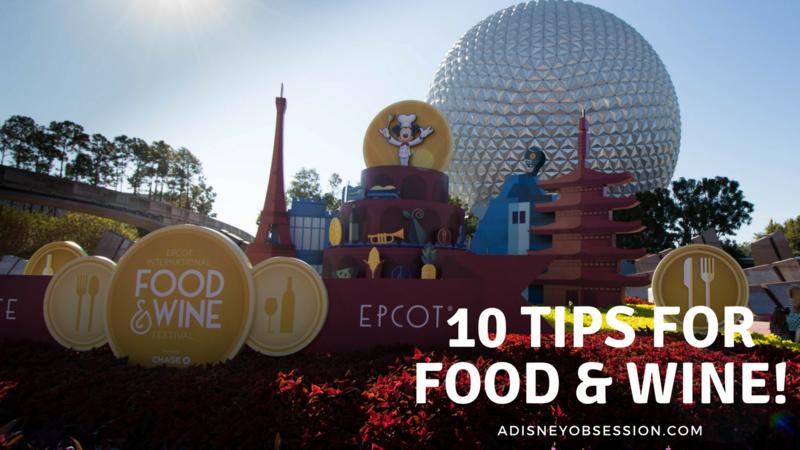 Since I’m not going to the Food & Wine Festival this year, I thought it would be nice to reminisce on what I tried last year and what I thought of it! You can see a list of the items available this year here. Spicy Hummus Fries*- the highlight for me last year! Definitely give it a try! If you want to hear about the 10 tips instead of reading, check out the co-ordiating video below! 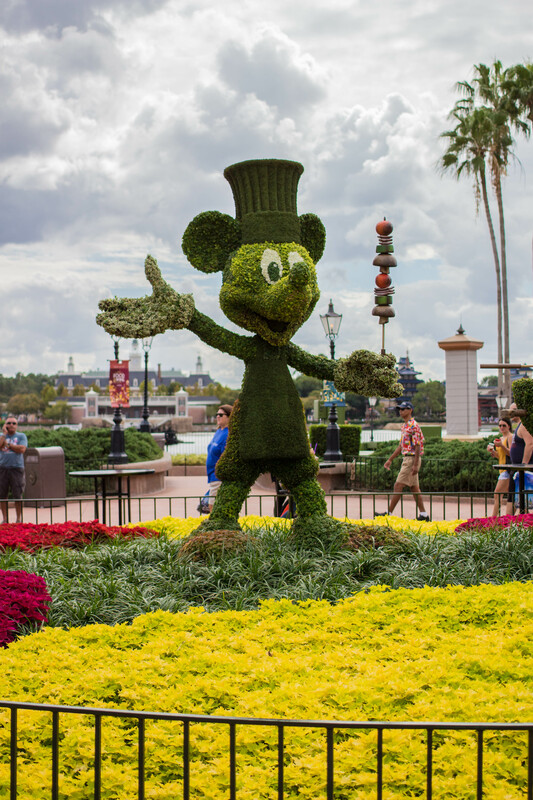 What are you looking forward to at the Food & Wine Festival this year? Let me know in the comments below!